Traditional Roller Blinds (sometimes referred to as Holland Blinds) are one of the oldest types of blinds and yet are still immensely popular. Roller Blinds have come a long way since their inception and now include a large range of styles, fabric types and quality. The fabric comes in translucent or total “blockout” to suit the location. One of the attractive features of Roller Blinds is their affordability – they are a comparatively low cost item without detracting from their appearance. Sunscreen Roller Blinds allow clear vision from within but block up to 95% of UV rays. This allows you to enjoy outdoor areas without having to worry much about the effects of the sun on your skin or eyes. Our Roller Blinds come with chain control as a standard feature, but they can also be motorised to suit all applications. It’s a spectacular sight to watch all of the blinds around your home roll up on their own, letting in the warm sunlight of a new day. More and more people are choosing motorised blinds for their home and office these days, and they are more affordable than ever now. Wired blinds are exactly as the name says, powered by a wire either into a socket or wired into the main electric circuit (in which case an electrician is required for install). Wireless blinds are powered by long lasting batteries instead of mains power, allowing an easy installation with no dangling cords. Batteries last for years and they are easily replaced when needed. 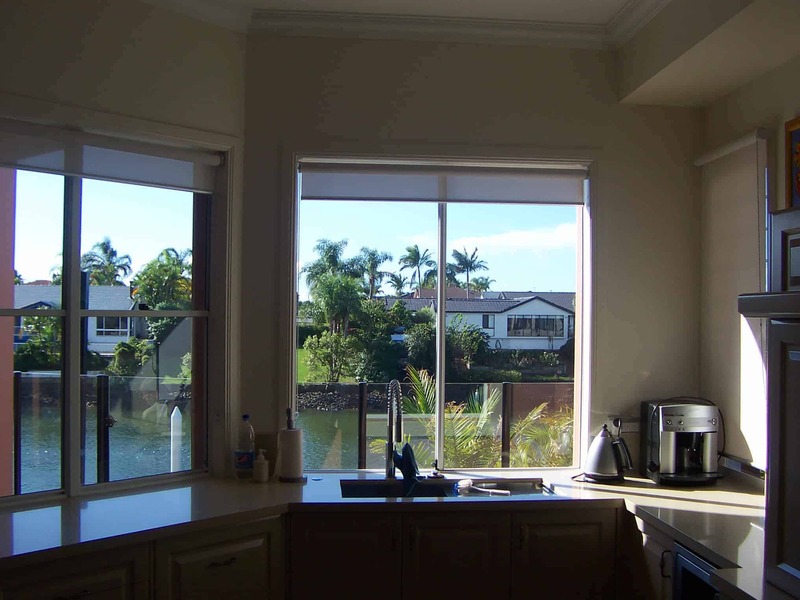 As with all of our blinds, our roller blinds are locally manufactured on the Gold Coast. Visit our showrooms on the Gold Coast, Sunshine Coast & Newcastle to see our roller blinds in use.